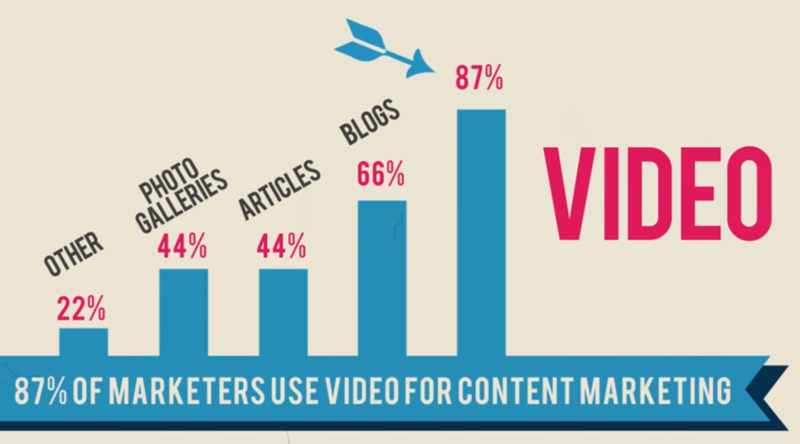 We’ve mentioned in earlier blog posts that video is now one of the best ways to engage customers online. With the increasing emphasis placed on video by the major online platforms (Facebook Live, Youtube livestreams, etc.) and the growing mainstream influence of livestream platforms like Twitch, modern consumers are using video as a way to connect with people and brands. The same Cisco study revealed that live video will grow 15-fold by 2021, accounting for 13% of total Internet traffic by 2021. Most major social media platforms either already support a live video function, or have one currently in development. Live Q&As or livestreamed press conferences are a great way to connect with your core audience in real time. Customers want to feel like they’re interacting with real people, and live video is a great way to do that. The increasing popularity of video among consumers has not gone unnoticed by most companies, which means the online marketplace will soon be flooded with video. So it’s important that your company sets itself apart from the competition. It would take an individual more than 5 million years to watch the amount of video that will cross global IP networks each month in 2021–so your content needs to set itself apart in order to be heard. Don’t be the thousandth corporate video that’s just a slideshow set to music: think creatively and develop content that your customers will actually enjoy watching. Virtual and Augmented Reality traffic will increase 20-fold by 2021. We discussed the far-reaching implications of this new trend in an earlier blog post, but with new technologies like 360 degree video and VR headsets like the Oculus Rift, you can bring your video marketing to a whole new level by incorporating VR/AR. And although many marketers fear that 360 video is too costly to be worth it, new products like Ricoh Theta and Google Cardboard are enabling marketers to break into VR/AR at a relatively low cost. Ever since Youtube made 360 degree interactive videos available in 2015, customers have jumped at the opportunity to engage immersively with their favorite brands. One of the biggest challenges for marketers has always been keeping their brand messaging consistent across all channels. And with the addition of a video marketing component, maintaining consistent messaging gets that much more complicated. When developing video content, take all other aspects of your marketing strategy into consideration–what you post on social media, what you write on your website–and align your video’s message with your existing brand content. Don’t try to copy another company’s video strategy; create unique content that aligns with your brand voice. 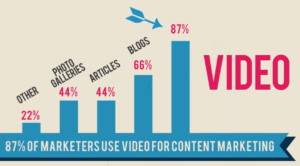 Of course, video marketing may not be the most effective approach for all companies, and it’s always important that the data backs up your new strategy. You should continually measure results, costs, failures, and successes and adapt your strategy based on those analytics. Don’t look at data through a single lens such as click rate or time spent viewing–video is a multidimensional asset that customers can engage with in a variety of ways. So make sure to look carefully at all available data before evolving your video strategy. Questions? Contact us to find out more about how your company can implement a successful video marketing strategy.